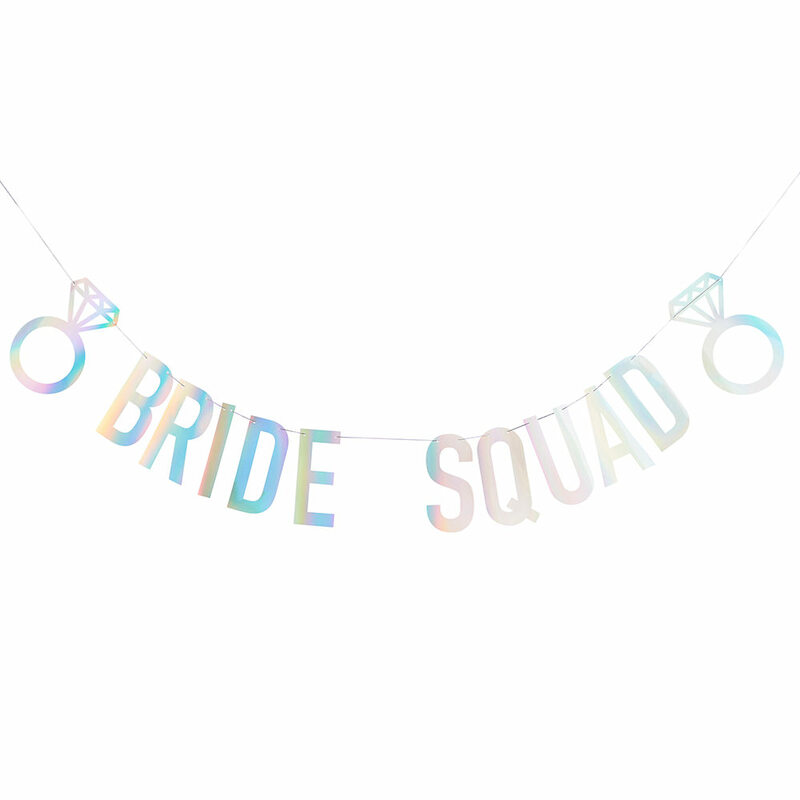 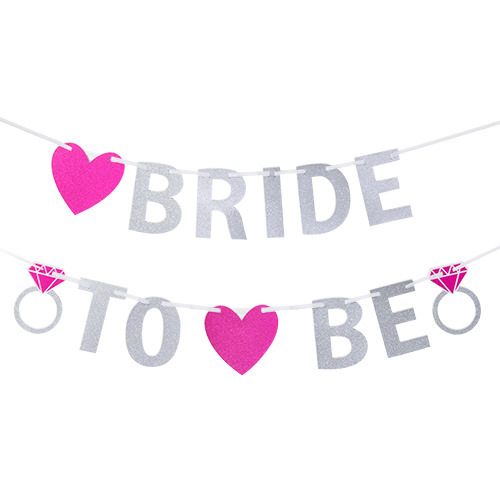 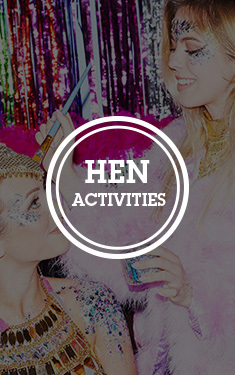 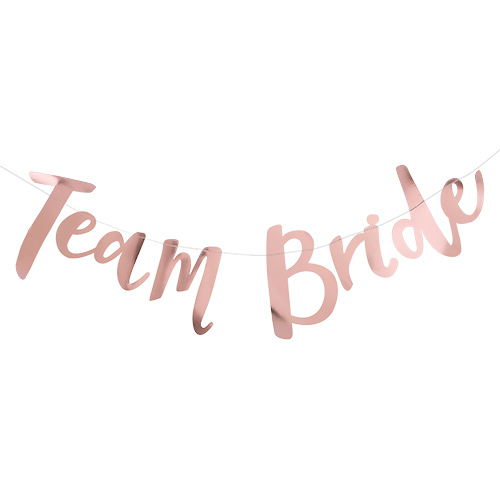 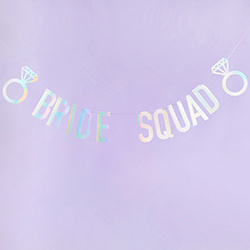 Banners are an essential item for decorating a venue for a hen party, we have loads of different options available but this iridescent bride squad bunting is one which really adds a bit of sparkle to the room. 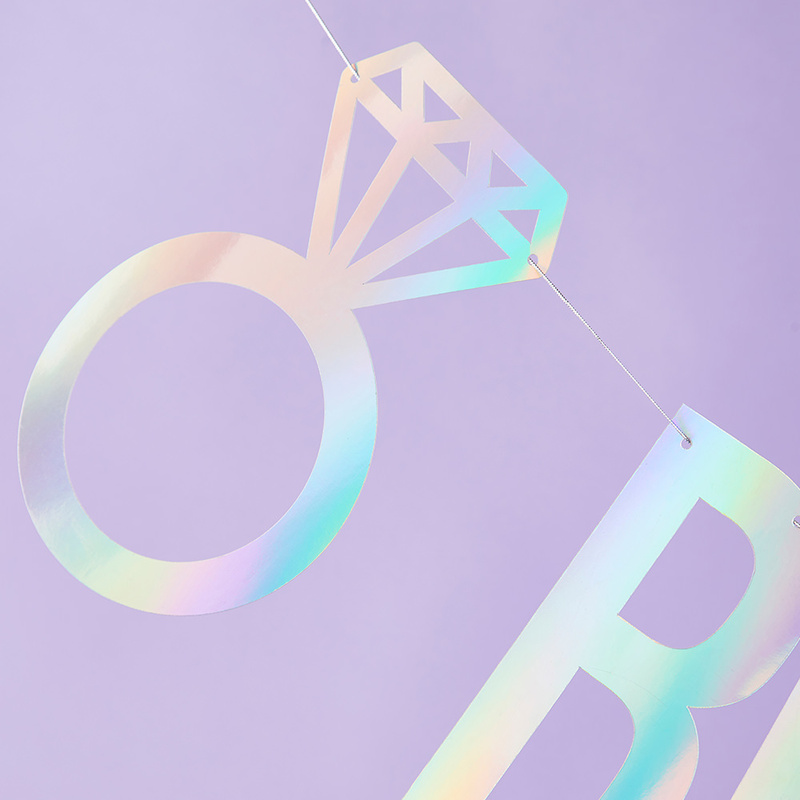 The letters are around 20cm high with the two diamond rings on each side being slightly larger at around 24cm, the size of the lettering is one of the reasons this banner really stands out. 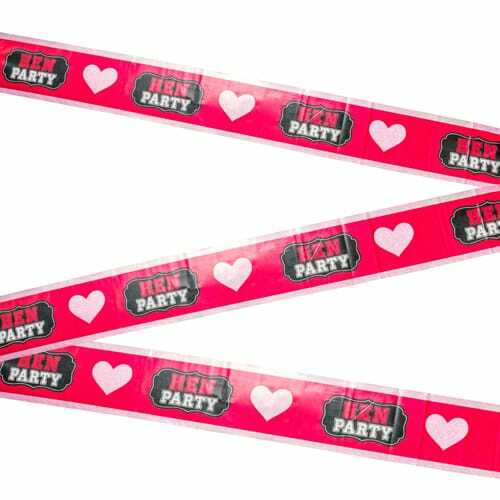 At two meters long this will take a good amount of space and can be a real focal point. 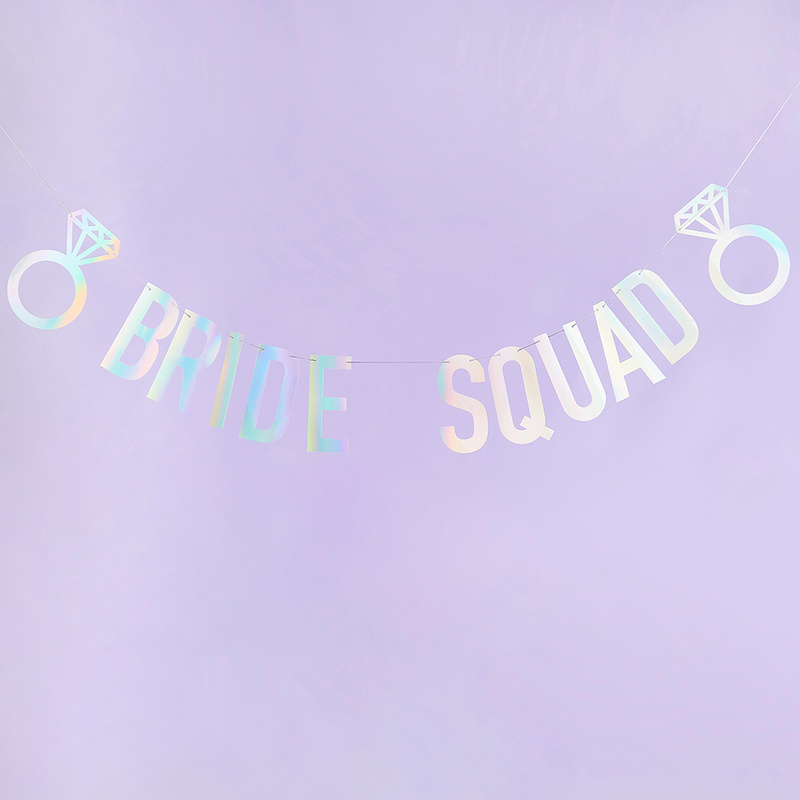 This item is part of our purple bride squad collection and so can be part of a theme comprising balloons, confetti, straws and much more.